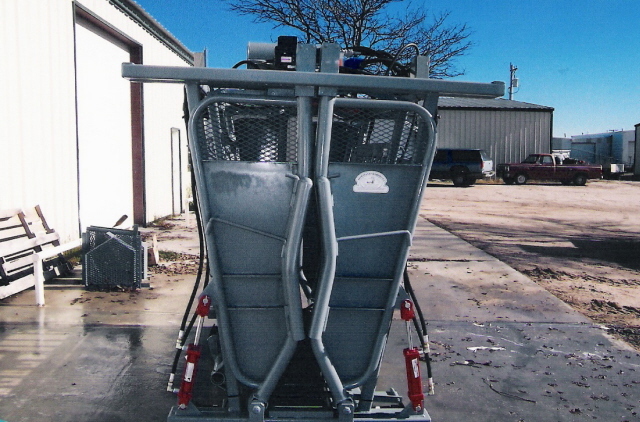 The Model 3000 Heavy Duty series hydraulic chute is designed for the larger feeder and feedlot. 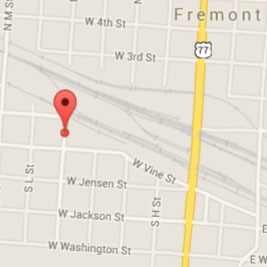 The 1/2″O.D. bushings on the headgates and tailgates and the 1/4″ wall tubing on the frame makes thischuteone of the best pieces of equipment for feedlot use. The Model 3000 utilizes two hydraulic cylinders on the headgate and two on the tailgate, thus eliminating linkage arms and a lot of wear points. The headgate cylinders are synchronized via a gear-driven flow divider that causes the two headgate doors to operate at the same moment, in time with each other. 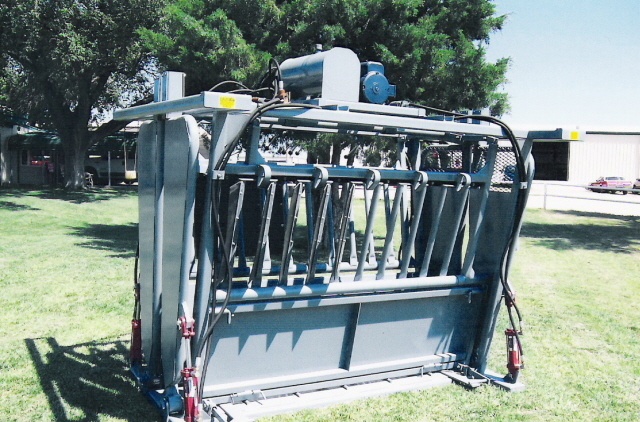 Manufactured for medium/large cattle feeding operations, the expanded metal located on the upper part of the headgates allows the operator to synchronize procedures with the person on the other side of the chute… a very good safety factor. The headgate also features rub strips at the top of the pipe, fabricated from a material known in the industry as “UHMW” plastic. This very durable material allows no wear to the head and tailgate pipes or the top of the tubing on the chute. 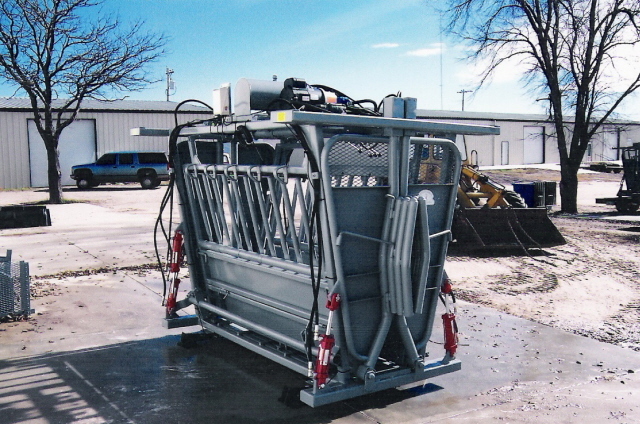 The Model 3000 comes with the noise free vane pump and quiet power unit which maintains proper distance and alignment between the pump and the motor, utilizing a “C-faced flange.” The lower access doors are similar to the 2800 series, made up of heavier sheeting and removable, as in all of the hydraulic chutes.The center twister has a double impellar, one at each end, to assist in keeping the side panels from twisting. All points in the linkage of the impellar have replaceable bushings and are greaseable. The Model 3000 hydraulic chute has 3 ½” OD x 3″ with a special insert made of VEKTON, located at the bottom of headgates and tailgates. The VEKTON inserts are 3″ OD with a 2″ hole and a metal insert with a 1″ bolt that holds the assembly together, making this bushing kit the heaviest in the marketplace today. All options available in the 2800 series are available on the Model 3000.